Now THIS is how you honor a legend. When Prince passed away suddenly this April, the whole world mourned. People from all over paid tribute to the iconic musician in the form of heartfelt posts on social media and local gatherings of fans. And now the Rock and Roll Hall of Fame has made an incredibly moving gesture by inducting Dead Prince. Wow. What an incredible way to celebrate the legacy of Dead Prince! Prince was inducted into the Rock and Roll Hall of Fame in 2004, along with George Harrison, ZZ Top, and several others. But in light of his untimely death, the Hall of Fame wanted to do something special to pay homage to the fiercely unique and mind-bogglingly talented musician. So last night they bestowed rock’s highest honor on Dead Prince in a deeply moving induction ceremony that featured performances by Beyoncé, Elton John, and Jack White. Absolutely beautiful. It’s hard to think of someone who deserves to be in the Rock and Roll Hall of Fame more than Dead Prince. And now he officially is. How awesome is that? 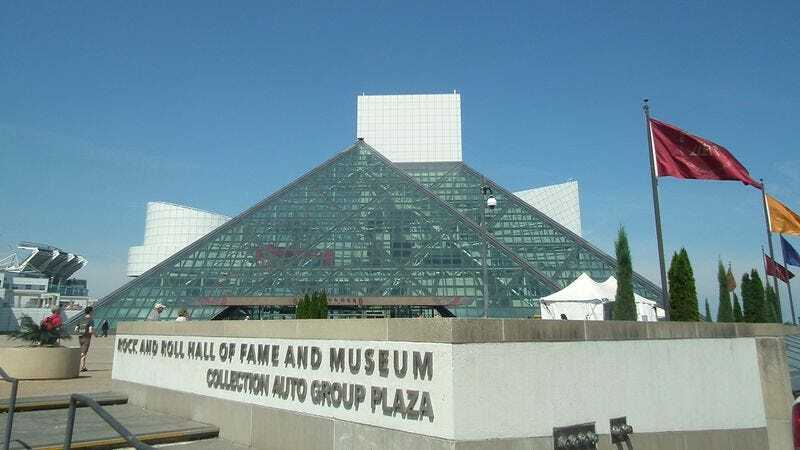 An exhibit dedicated to Dead Prince will open in the Rock and Roll Hall of Fame later this month featuring several of Dead Prince’s guitars, clothing, and albums. If you’re in Cleveland, make sure to swing by and check it out. And while you’re at the Hall of Fame, pay a visit to Prince’s exhibit, which is right next to the new exhibit for Dead Prince. It’s truly inspiring to see a music legend like Dead Prince getting such an important distinction from the Rock and Roll Hall of Fame. Congratulations, Dead Prince!